For my Creative Writing class we did a piece on why I won't get out of bed. 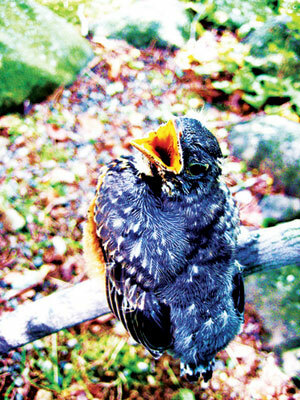 Out of a full ramble came one line and then this piece about how as of now I feel much like a juvenile robin. I have to get up and start my day, but the comfort and peace found in my bed is much more appealing.